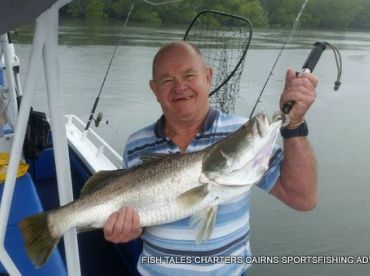 Captain Darryl grew up in Adelaide fishing with his brother from a very young age. 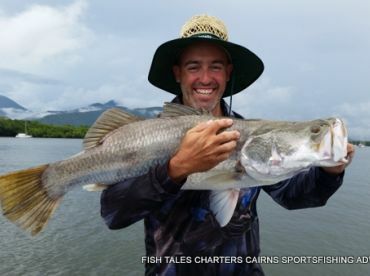 20 years later, he arrived in Cairns, and every possible moment became all about fishing and exploring. 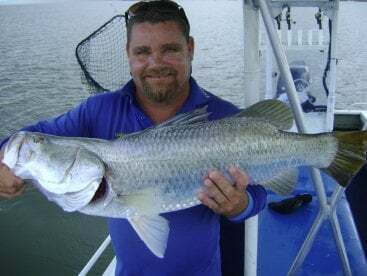 Captain Darryl became the owner-operator of Fish Tales Charters over 15 years ago, and after a decade of successful guiding decided to build the Don't Know to offer a variety of fishing charters due to the high number of repeat customers. 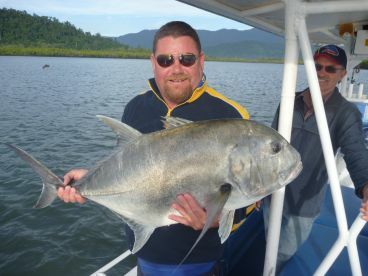 Captain Darryl loves lure and popper fishing for Queenfish over the winter months on the Mulgrave and Russell Rivers. Fish Tales – "Don't Know"
Full day with Darryl, boat to ourselves! Couldn’t have asked for a better trip! Darryl is an expert and a great bloke. 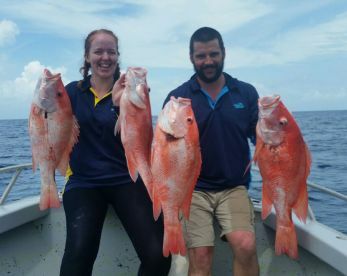 Bought this trip for my boyfriend for his 30th happy just for the experience but Darryl was keen on getting us a few big catches. 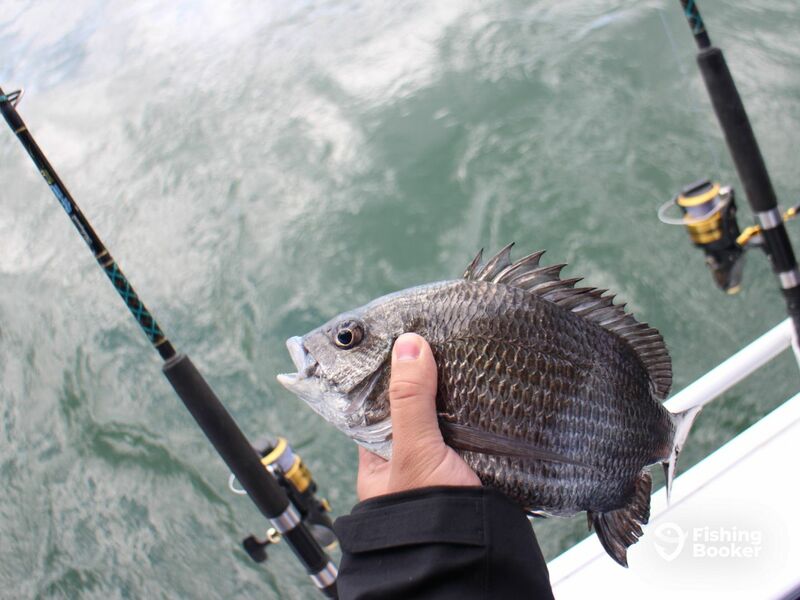 Came back with 6 big fish at the end of the day - quite a few more than the blokes a couple of spots down on the pier. 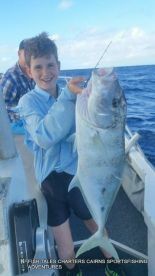 Captain was very patient and gave great instructions (I’d never been fishing at sea before). 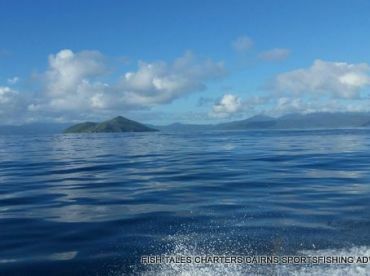 We moved on when nothing was biting (or when the sharks were) and Darryl knew all the spots. Excellent feed and plenty of water provided. I’d highly recommend this trip and will definitely book again when friends and family are in town. Emily P. рекомендует Fish Tales – "Don't Know"
Hi Aaron and Emily. Thanks guys, enjoyed your company, too. 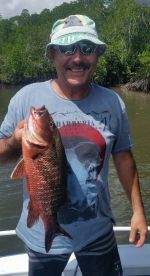 Happy you where able to take home some reds, topped off a great day. Appreciate your time to write a review to reflect your day. Many thanks Darryl and Raewyn at fish tales charters . 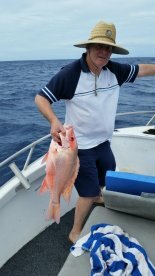 We had a great time plenty of fish the captain worked hard to make our trip a memorable one catching out live bait and putting us on the fish. 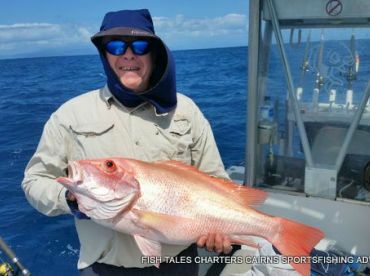 We had a great time plenty of fish the captain worked hard to make our trip a memorable one catching out live bait and putting us on the fish. ??? 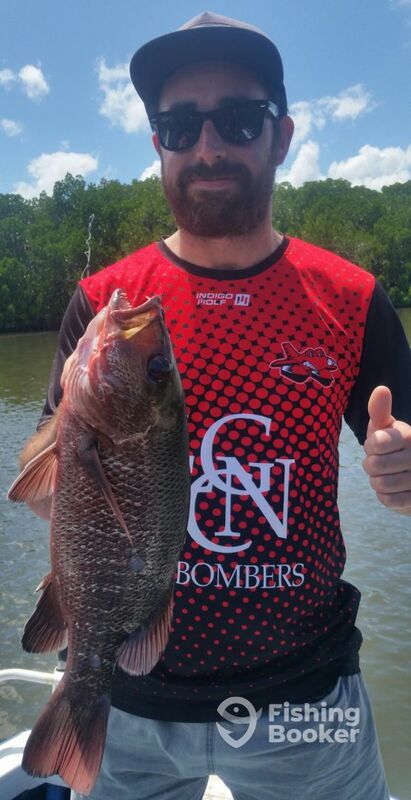 Darryl was still able to put us on some alternative fish despite the barras being really shy today. Just goes to show how well he knows the spots in the area. Had a fun and relaxing time!